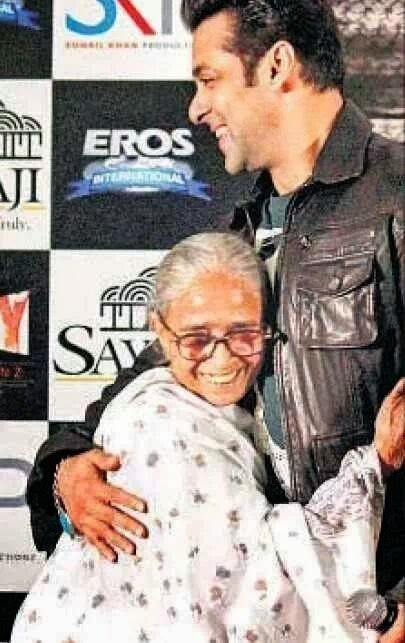 It’s rare to recall nanny who provide safe, caring, nurturing environment after to the newly born, but mega superstar Salman Khan is someone whose generosity never forgets such people and particularly when its her own nanny. “Tere Sab Dukh Ab Mere Hain, Jald Mumbai Bulaoon Ga Aur Tumhari Donu Potiyon Ki Shadi Bhi Ab Main Hi Karaunga”, these were the humble remark and commitment of Dabangg Khan for her nanny Rukmani he met after a long time in Indore while promoting his upcoming ‘Jai Ho’. 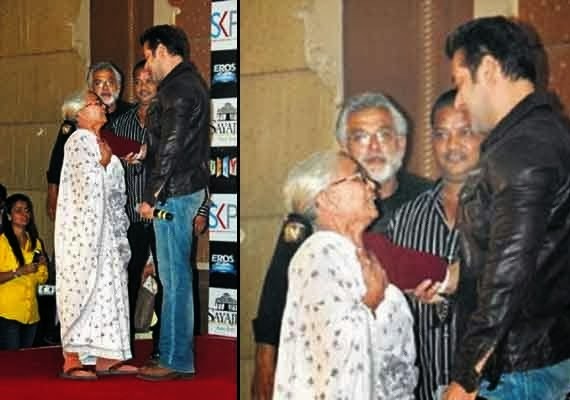 86-year old Rukmani came on stage and tried to touch Salman’s feet which he tried to evade and himself bowed down before her and gave his words. She further added that, "Maine Kabhi Sapne Mein Bhi Nahi Socha Tha Ki Meri Salman Se Kabhi Mulaqat Hogi. Usne Mujhe Mumbai Bulaya Hai, Mujhe Bohat Achcha Laga. Bhagwan Usko Achcha Rakhe." Indeed, Bollywood is proud to have a superstar like him!